“Think Of All The Beauty Still Left Around You And Be Happy”! What do you mean by Dental implants? They are the tiny metal posts which are surgically positioned into the jaw bone. They appear like a screw which is normally made of titanium. They get fused with the jawbone to form a tooth root. They consist of three gears namely the post, abutment, and the crown. The abutment will be fixed to the post, and the crown gets attached to the abutment. The Dentist who offers high-quality Dental implants in Sydney gives some tips to know the need for dental implants! What’s The Need for Dental Implants? People like to do dental implants to replace their missing teeth. Instead of wearing removable dentures, dental implants are one of the perfect solutions to replace their missing teeth. Implants Help Stop The Nearby Teeth From Shifting! When you have a missing tooth, the nearby teeth will eventually start moving to fill in the empty space. This causes numerous dental complications like crowded teeth and unevenly spaced teeth which make difficulty in cleaning. Without proper cleaning, you may suffer terrible oral problems like bad breath, tooth cavity, cyst formation and much more. By fixing the dental implants, you could overcome these issues. To Protect Your Jaw Bone! You may know that exercise is good for the bones. This is also applicable to the jaw bone. When you chew, you stimulate your jaw bone; it keeps the bone to be healthy and strong. Unfortunately, when you lose a tooth, it affects your chewing ability which causes lack of stimulation to the jaw bone resulting in deterioration of the bone. When you prefer fixed bridge instead of the dental implant, your jaw bone gets worse under the missing tooth. This is due to the fact that, without a tooth root, you don’t get sufficient stimulation to the jaw bone. This continuous pressure may damage your jaw bone completely. By choosing Sydney dental implants, your jaw bone could be protected! To Preserve Your Appearance! Since the jaw bone starts shrinking due to the missing tooth, wrinkles may appear on your face which causes premature aging. This makes you appear years older. This shrinkage even makes your jaw more liable to breaks and fractures. Choosing the Dental implants in Sydney provides stimulation to your jaw bone and helps preserve your facial structure. What Are All The Complications in Opting Dentures? There are plentiful complications with the dentures. Frequent slips, sore taste in the mouth, thin lips, and food restrictions are few of them. 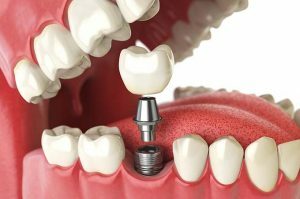 When you are planning for the dental implant, consider the affordable dental implants cost in Sydney since they offer high-quality dental Implants with the latest dental procedures!